Which School Board is Better for IIT JEE and NEET Preparation? Which School Board is Better for IIT JEE and NEET Preparation? Which School Board is Better for IIT JEE and NEET Preparation? Everybody has an opinion. People who like CBSE will tell that it’s the best board for JEE/NEET preparation. ICSE/ISC supporters will say you’ll understand concepts better in ICSE/ISC board. So which board to choose, CBSE or ICSE? Note : This is a long post. I am dividing this into parts. You can directly go to the section you want to read from the below list. What makes CBSE better than ICSE? What makes ICSE/ISC better than CBSE? CBSE or ICSE for IIT JEE Preparation? ICSE or CBSE for NEET Preparation? Which Board to Choose, CBSE, ICSE, IB or IGCSE? There are many schools affiliated to CBSE and ICSE boards in India and abroad. CBSE schools have dominated the ICSE affiliated schools largely because of student friendly and competitive examinations favorable format of CBSE. Update : CISCE have realigned Physics, Chemistry, Mathematics and Biology syllabus of class 11 and 12 with that of the CBSE. The difference in ICSE/ISC and CBSE syllabus is diminishing. Some of the points in this post are not valid now. There are CBSE affiliated schools in every big or small city in India. 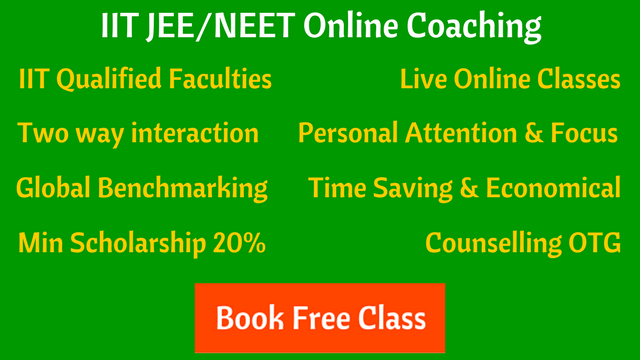 Upto class 10th, CBSE syllabus is considered to be very easy. Class 11th and 12th syllabus is well focused on the preparation of competitive examinations. The general past trend is in favor of CBSE on the number of students qualified for IIT JEE and AIPMT (now NEET). The top 50 scorers in JEE Main 2016 were from CBSE. The syllabus of NEET, the common medical entrance, which is re-started from 2016, is largely based on NCERT books by CBSE. Some of the past students of ICSE board feels that, till class 10th, ICSE is better than CBSE. The in-depth learning in ICSE board allows students to excel in any field. But for class 11th and 12th, students would like to prefer CBSE over ICSE. The simple logic is that, CBSE syllabus in class 11th and 12th provides a healthy environment for a student to prepare for competitive examinations like IIT and Medical. What makes ICSE better than CBSE? The diverse learning opportunity allows an ICSE student to excel in any field, not just engineering and medical. An ICSE student, chose to be anonymous, thinks that CBSE students takes more time to grasp a topic and call them “less efficient and bookworms”. Related Post : How to handle ICSE/ISC Board Exams and JEE/NEET Preparation? CBSE is all India government recognized board. CBSE affiliates all Kendriya Vidyalayas, all Jawahar Navodaya Vidyalayas, private schools, and most of the schools approved by central government of India. The council for the Indian School Certificate Examinations (CISCE) is one of the private national level board for providing quality education to students. The council every academic year conducts Indian Certificate of Secondary Education (ICSE) for 10th as well as Indian School Certificate (ISC) exams for 12th class respectively. CBSE have universal pattern and syllabus for all CBSE affiliated schools in India and also in other countries. Currently there are more than 15 thousands schools affiliated with CBSE in India. CBSE affiliated schools also have presence in more than 30 countries like UAE, Qatar, Bahrain, Malaysia, etc. Currently there are more than 2000 ICSE affiliated schools in India. Apart from that, there are schools affiliated to ICSE in countries like UAE, Indonesia and Malaysia. CBSE is a good option for parents who have transferable jobs, they can easily get CBSE affiliated school in every Indian city. There are less number of ICSE affiliated schools, so you may not find an ICSE school if you are moving to a new city. CBSE is more focused towards science and mathematics with lots of attention paid to application of knowledge. CISCE (ICSE), on the other hand, is more balanced with equal focus on language, arts and science. Easy to find quality teachers and books for CBSE. There is a difficulty in finding good quality teachers for ICSE. Several scholarship and talent search exams have their syllabus based on CBSE board. ICSE syllabus is more diverse and can help you in improving your analytical skills. All CBSE schools follows standard books of NCERT. NCERT books are composed by highly qualified professors, assistant professors & lecturers of various prestigious universities in India. Until class 10th, CBSE students don’t have a need to refer extra books in addition to NCERT. In class 11th and 12th, there are many reference books that are available for better understanding of topics and solving problems. On the other hand, ICSE syllabus covers a range of topics to explore overall growth of students. The ICSE syllabus is more diverse in compare to CBSE. In classes 11 and 12, the syllabus is deep enough yet diverse that it can give a very good grasp on the concepts and ideologies taught (applicable to all Science, Commerce and Arts related subjects). ISC/ICSE students have to do some extra effort like reading poetry, plays and short stories. But it depends on the student, how he/she want to take it, this extra effort can be totally worth it and can add extra skills to students. ICSE Board also have advanced IT (like Java) courses in class 9th and 10th. It’s an advantage for students who wants to pursue a career in computer science, an early opportunity of getting proficiency and confidence in coding. Let’s see couple of responses on this. Remember that these are the general opinions and not the verdicts. Just getting admitted to a CBSE or ICSE board can’t guarantee you a seat in IIT. For an IIT aspirant, it also depends on the mentality of the student. A student can be capable of handling the extra subjects in ICSE with ease, may enjoy reading literature books, and feel better preparing for any examination. ICSE or CBSE for NEET (Medical) Preparation? It’s a common trend that CBSE students are clearing AIPMT (NEET) more than their ISC counterparts. NCERT books of Biology, Chemistry and Physics for class XI and XII are highly recommended for preparation of medical entrance examinations. But before class 11th, ICSE syllabus allows different books for Physics, Chemistry and Biology which provides very good learning platform for students. So, even though CBSE syllabus gives you advantage in your preparation for AIPMT (NEET) or other medical entrance examinations, ICSE allows you to acquire the required concepts in lower classes. 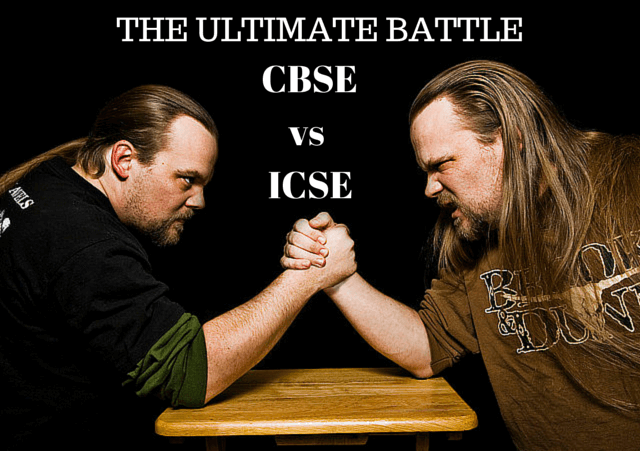 ICSE or CBSE, Which is tough? ICSE is generally tough because of diverse syllabus. But it also depends on a student’s state of mind. A tough subject or a complex problem for one student can be an easy one for another student. What about IB and IGCSE boards? IB (International Baccalaureate) and IGCSE (International General Certificate of Secondary Education), both are international boards. Recognized by most of the Universities of the world, IB and IGCSE students can apply to foreign universities. IB and IGCSE boards are considered more challenging, exclusive and expensive. Unlike CBSE/CISCE, the IGCSE curriculum is so timed that students can take some ‘A’ Level exams by November every year, be left with ample time to prepare for IIT JEE and AIPMT (NEET) tests and then take the other ‘A’ Level subjects. In India, the number of schools tying up with IB and IGCSE boards has shot up significantly in the last five years. Currently there are more than 200 IGCSE and around 150 IB affiliated schools in India. So, Which Board to Choose, CBSE, ICSE, IB or IGCSE? You should select the one which suits you most according to your needs. If the parents have a transferable job and the child has to change schools frequently, they should ideally opt for an ICSE or CBSE school. If job involves transfer to small cities or towns (technically called tier-II) one should ideally opt for a CBSE school. If the transfer is restricted to metros or urban areas, parents can opt for ICSE or a CBSE School. If parents have a job with overseas postings, then IGCSE board or IB board can be suitable option for them. Finally, Which Board is Best, CBSE or ICSE? There is no simple and direct answer of this question. It depends on what parents want their children to learn? What skills and depth of knowledge a child should absorb? What’s the objective and goal of a parent for educating his/her child? Considering selection in IIT JEE and NEET-Medical as the criteria for deciding which board is better, may not be the right way to go. 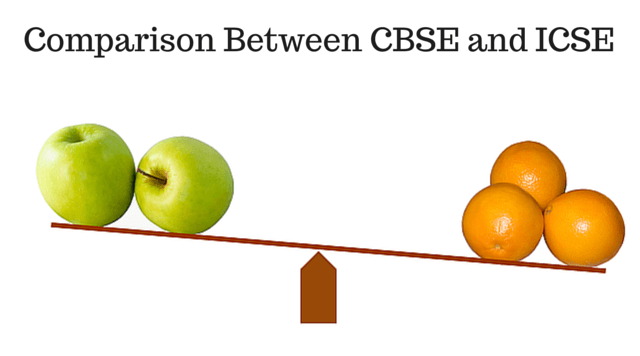 There are pros and cons of both CBSE and ICSE. Also it’s important for parents to keep monitoring the overall performance of the kid. Suppose a child is not able to deal with vast and diverse syllabus of ICSE, in that case it’s advisable to consider switching to CBSE. Education with pressure will not make good inroads to the future of a student.